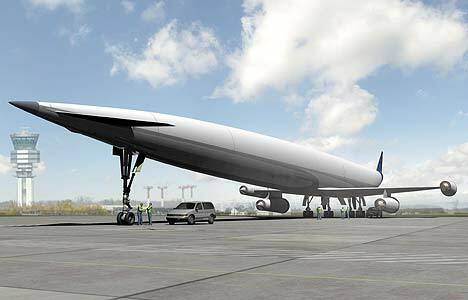 One hopes that one day soon I will fly in the new "Son of Concord" concept from Reaction Engines Limited in Oxfordshire in the UK. Liquid hydrogen powered engines will allow up to 300 passengers to reach speeds of Mach 5 or for the laymen that is 3,4000 MPH! That is around 7 times faster than the speed of today's jets. This is no typo and I am sure right now, Terry Matthews is looking to upgrade his corporate jet. 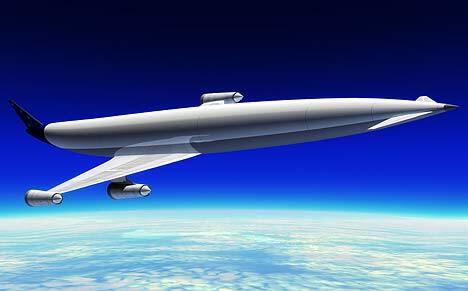 To reach Mach 3 the plane initially generates thrust through engines similar to those used in conventional jet aircraft. But beyond Mach 3, a specialist unit pre-cools the super-heated air generated by flying at high speeds before it enters the turbines, preventing the engines from melting. Previously, engineers have failed to design a system capable of operating at such extreme temperatures. If built, the cost of a ticket on the A2 - which will cruise at an altitude of 100,000ft (30,480m) - from Europe to Australia is estimated to be around £2,000 or just under $4,000. Because it is fueled by liquid hydrogen, the aircraft only produces water vapor and nitrous oxide as exhaust and has a negligible carbon footprint. Despite its length, the aircraft will also be able to land on current international airport runways. Mr Bond, managing director of Reaction Engines Ltd, said that from a standing start and with the requisite political will, the plane could be flying commercially within 15 years. My question is... How can we speed development of this thing up. I would really like to fly this plane on business and not in retirement. Well, at least my kids will get to enjoy faster and better air travel. As for me... I am happy these days to find a flight that will give me some pretzels or a pillow. \nOne hopes that one day soon I will fly in the new "Son of Concord" concept from Reaction Engines Limited in Oxfordshire in the UK. Liquid hydrogen powered engines will allow up to 300 passengers to reach speeds of Mach 5 or for the laymen that is 3,4000 MPH! \nThat is around 7 times faster than the speed of today's jets. \nThis is no typo and I am sure right now, Terry Matthews is looking to upgrade his corporate jet. If built, the cost of a ticket on the A2 - which will cruise at an altitude of 100,000ft (30,480m) - from Europe to Australia is estimated to be around £2,000 or just under \$4,000. \nMy question is... How can we speed development of this thing up. I would really like to fly this plane on business and not in retirement. \nWell, at least my kids will get to enjoy faster and better air travel. As for me... I am happy these days to find a flight that will give me some pretzels or a pillow.